Click the links below to view the photo collection. From WWI onwards recruits in many shires and towns in Australia were honoured by local government authorities and communities. 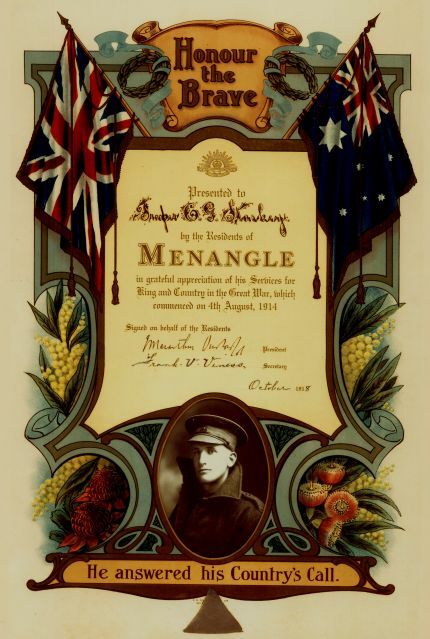 A common form of recognition was the Award of Honour Certificates which expressed the community's thanks to the volunteer for enlisting. Typical of the imagery and wording of the many differently designed certificates that were produced are seen in the two examples here. 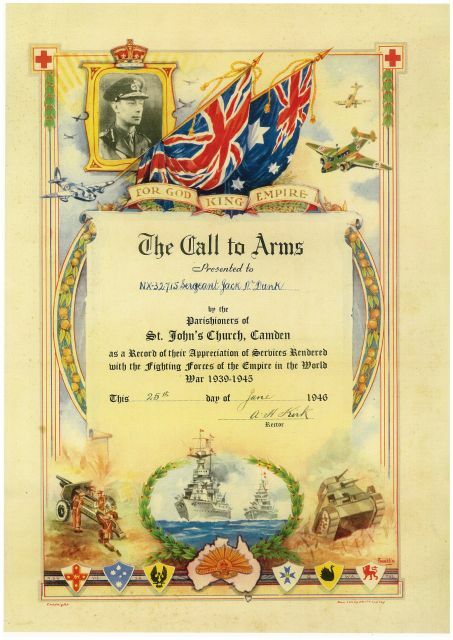 Presented to NX32715 Sergeant Jack N Dunk by the parishioners of St. John's Church Camden as a record of their appreciation of services rendered with the fighting forces of the Empire in the World War 1939-1945. It is dated 25th June 1946 and signed by Rector A H Kirk. 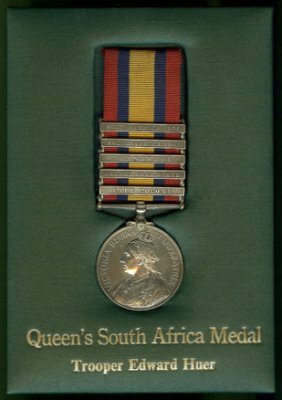 Many of the soldiers in the Boer War were awarded the Queen's South Africa Medal. The clasps on the medal represent each campaign in which they took part. 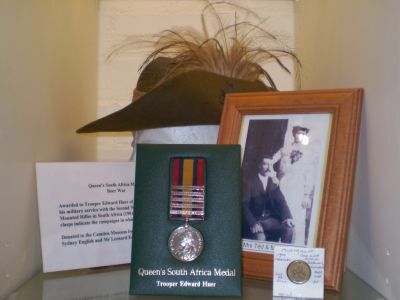 Trooper Edward Huer was awarded the Queen's South Africa Medal with five clasps for his service in the War. His medal is on display at Camden Museum with a photo of him with his wife Matilda.